Learn more about the White House Office of Intergovernmental Affairs. At an event on social innovation in Baltimore, we profiled young social entrepreneurs and reviewed the Administration’s and Aspen Institute's relevant work. Since the President's call to action, state and local elected officials have taken action to expand free community college programs across the country. Today, the Administration announced new efforts to build on ongoing progress to combat rural child poverty. At the end of the most recent Affordable Care Act open enrollment period, the White House has announced the winner of its Healthy Communities Challenge. 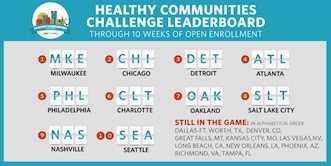 With two weeks left in this Affordable Care Act open enrollment period, the White House has announced the updated rankings of its Healthy Communities Challenge. Since the launch in May, five additional agencies have committed to opening key data on police interactions with their communities. 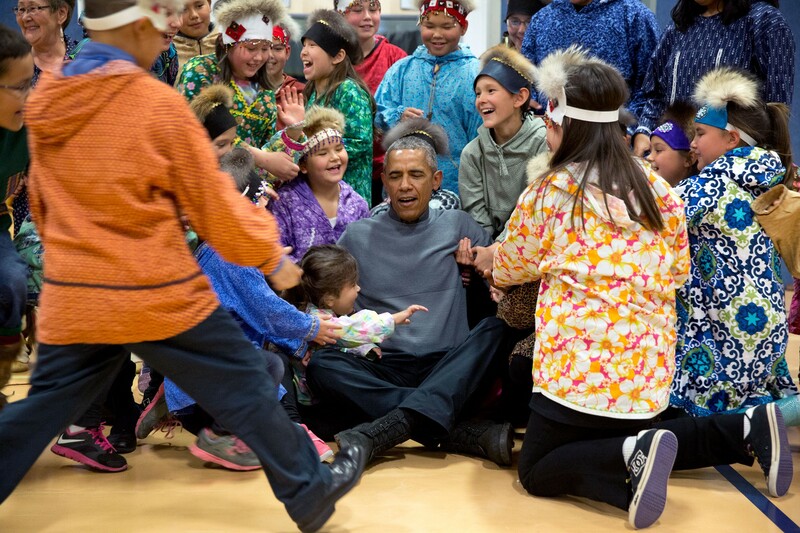 Alaska Native Raina Thiele reflects on the President's historic and unprecedented three-day trip to Alaska. Governor Gina Raimondo just signed a bill that will raise the minimum wage for Rhode Islanders. Governor Raimondo’s signature continues a trend of local governments and communities helping those who work hard day-in and day-out to put food on their tables and a roof over their heads. Email from Jerry Abramson: "Today's Conversation with the President"
Jerry Abramson, Director of Intergovernmental Affairs here at the White House, explains how the tensions that have recently erupted in communities such as Ferguson and Baltimore are not solely tied to policing, but are also linked to the lack of economic opportunity. On Friday, April 17, the White House will host local leaders from all across our “Innovation Nation” at the first-ever White House Tech Meetup. State and local officials understand that passing a long-term infrastructure bill is not only the right thing to do for the country, it’s just common sense. Last week, the White House hosted over 250 mayors for a day of events at the White House. Check out pictures from the day. U.S. Trade Representative Ambassador Michael Froman talks about his work with mayors to expand trade and create local jobs. From Alabama to Guam, from Los Angeles to Philadelphia, state, local, and tribal leaders are on the front lines of dealing with extreme weather, sea level rise, and other impacts of climate change. Corporation for National and Community Service CEO Wendy Spencer shares how mayors are highlighting the impact of service across the country. San Francisco Mayor Ed Lee explains why now is the time for commonsense immigration reform. In November, the White House Office of Intergovernmental Affairs hosted officials from the New American Leaders Project to discuss immigration, education and healthcare. From City Halls to Indian Country to State Capitols throughout this country, some of America’s veterans are continuing their public service as elected officials. Across America, states, cities, and communities are taking steps to protect themselves from extreme weather and other climate impacts. President Obama signed an Executive Order to establish a Task Force of state, local, and tribal leaders to advise the Administration on how the Federal Government can respond to the needs of communities nationwide that are dealing with the impacts of climate change. David Agnew shared his experience at a Naturalization Ceremony in Alexandria, Virginia. In anticipation of the President’s visit, Chattanooga Mayor Andy Berke authored an op-ed on the President’s economic vision and how it continues to help strengthen middle class families in his city. Leaders all over the country have stepped up and provided opportunities for America's youth to find jobs. Elected officials support comprehensive immigration reform. Here's what they're saying about it. Know Anyone Who Helps Youth Find Jobs? They Might Be Invited to the White House! We're announcing the first White House Youth Jobs+ Champions of Change event and asking for your nominations. One week after the United States Senate passed a bipartisan immigration bill, local officials helped celebrate Independence Day by participating in naturalization ceremonies to welcome new American citizens. David Agnew meets with leaders of the Moapa Band of Paiute Indians and the Moapa Solar Project.